A Cape Town Chapman’s Peak Drive tagged image from photographer – féileacán as published on Flickr. 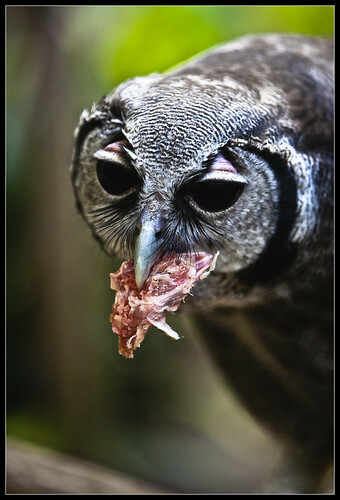 Verreaux’s Eagle-owl, Bubo lacteus (also known as the Milky Eagle Owl, Giant Eagle Owl), is a member of the family Strigidae and is the largest African owl. This owl is claimed to be the world’s third largest owl; after the Blakiston’s Fish Owl and Eurasian Eagle Owl.